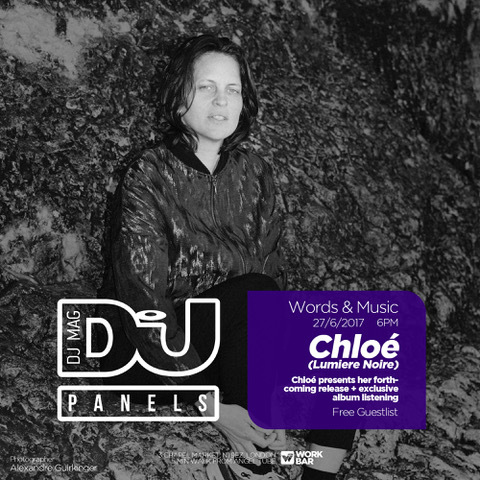 Chloé, veteran French DJ and producer and current Rex Club resident, will be presenting her forthcoming album, 'Endless Revisions', live from the DJ Mag headquarters on Tuesday 27th June at 6pm GMT as part of our DJ Mag Panels series. The album will be released on Chloé’s own label, Lumière Noire, and will be the first new music in four years aside from a single, ‘The Dawn’, released last April. Her label provides her with a platform to help her protégés — a selection of artists such as Il est Vilaine and Sutja Gutierrez, whose work she fell in love with during her many travels — to hatch their projects, too. During a hiatus from producing, Chloé has mostly been focusing on her club night, at famed Paris rave cave Rex Club. The album cover features the work of artist Noémie Goudal, whose dialectic exploration of natural and built environments echoes Chloé's sonic landscapes. Goudal also photographs her own monumental installations, which evoke the desert, the mountain, which inspired the title that serves as a title to one of Endless Revisions' tracks." Tune in this Tuesday 27th June at 6:00pm GMT to watch the event here, or RSVP for free guest list here.